Today I am sharing a Christmas Card in conjunction with Michelle Lupton, a fabulous cardmaker and friend. 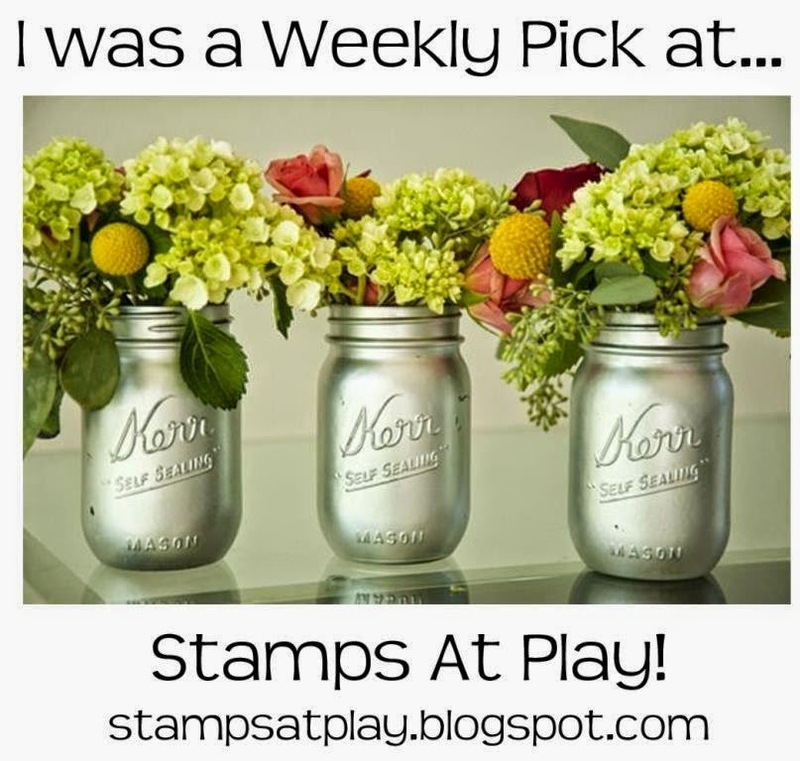 She has a series of challenge cards she has been sharing with other crafters over the past week, so please take a look at her blog (found below) to see the many wonderful creations! Today Michelle and I have been tasked with sharing a silver-themed Christmas Card. Silver is often elegant, so with this in mind I went about my creation. 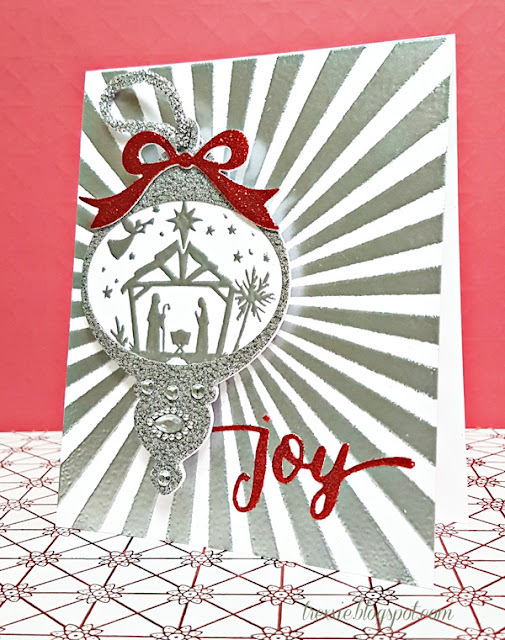 I used Sizzix Framelits with Stamp, Manger and diecut an oval from the bauble shape to set the heat embossed scene behind and heat embossed the background of the card using My Favorite Things Radiating Rays stencil. The diecut bauble, ribbon and W Plus 9 Hand Lettered Holiday sentiment were cut from glitter cardstock to which I added glitter thread and a smattering of bling! I attached the bauble with sticky dot adhesive so that it can be removed from the card and hung on a Christmas tree to be enjoyed for years to come. 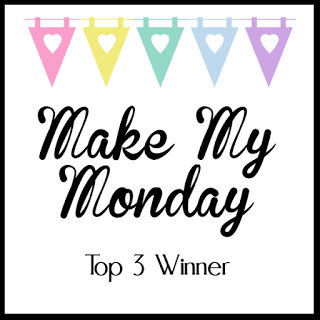 Thankyou Michelle for having me join you in your Christmas Card Challenge! 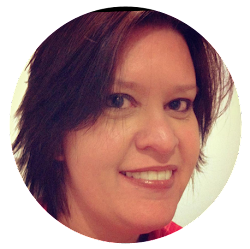 To check out Michelle's card, click here. 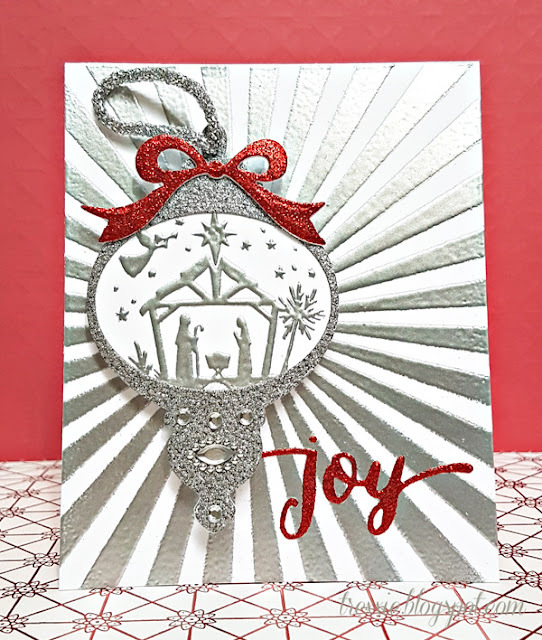 I love this - I particularly love how the bauble is removable and can do double duty on the card and on a Christmas tree! Genius!